Expanding by Four: Should the NHL Get Bigger? Over the past week, there have been a bunch of rumours regarding the National Hockey League’s plans to expand their league by another four teams by 2017. This stemmed from a report stating that the idea of an NHL team in Las Vegas was a done deal, and that there were other deals on the table to bring teams to Seattle, Quebec City, and the greater Toronto area (or GTA, for those who live around there). Opinions have been going back and forth on why this is a great idea, and why this is a horrendous plan. Expansion is always dicey, but going all in with a plan of four teams is a huge risk, especially in a league that already has more than one floundering franchise (looking at you, Florida Panthers, Arizona Coyotes, and Carolina Hurricanes). I’ve had time to digest the ideas of expansion, and have some opinions, just on the general effects it could have on the league, and on each individual city that has been named. massive expansion fees means more money for the owners- that they don’t have to share with the players. They have to be drooling over that a little bit. Balancing the league. With unbalanced conferences right now, this plan would enable the NHL to even things out, assuming Vegas, Seattle, and the GTA team would play in the West, and Quebec City would play in the east. New/renewed rivalries. Seattle vs. Vancouver would become a natural rivalry, as would the two Toronto teams facing off against one another. And bringing back the legendary Montreal/Quebec rivalry would be great. Cities getting something they deserve. Quebec deserves an NHL team. They never should have lost the Nordiques to Colorado in the first place, but the doom of the terrible Canadian dollar at the time sealed their fate, as they were unable to compete. Seattle seems like a good fit for hockey, and always has. It is surprising to me that it has only been in the last while that they have started being mentioned as a possible destination. And Toronto is more than able to support another team, which I will expand on more later on. Expansion drafts. I have to admit, these are really fun. It is amazing to go through the process of who will be protected by their team, and who will be left to hang in the winds. And then it is interesting to see the picks, as the new teams choose from a pretty good selection of players, only to select cheap plumbers who make us scratch our heads. Maybe with rich new owners, they won’t be afraid to pick up a couple of high priced players to put some butts in the seats, and give their new teams a chance to compete right off the hop. The product will become diluted. There is no doubt that the NHL is the greatest hockey league in the world. But where are we getting another 120 players to play on these expansion teams? The lure for many players to come over from Europe would have to get much stronger. There would be plenty of more AHL players who would have to make the jump up to the big league, and prove their worth on the largest scale. Looking around the league as it is, there are players all over NHL rosters who don’t deserve to be here (looks in the direction of John Scott). With a massive four more teams, this number will increase dramatically. Going back to the trap. Expansion teams need to compete in order to create a foothold for fans in their new city, and the best way to do this is to win. And the easiest way to win, with a lackluster roster, is to play defense. And this could mean the return of the trap. Think of the haunting memories of the first years of the Minnesota Wild, and how incredibly boring they were to watch. We could see that type of era return. Play for low scoring games, and hope to keep it within one until the very end. Or play for loser points. It could mean the return of some pretty boring hockey, which the league has tried to eradicate over the past few years. What happens to the failing teams we already have? Having these cities around now is good, for the day when the inevitable announcement comes along that the Coyotes are going to move. If the NHL expands, it is left with nothing, aside from perhaps Kansas City, to serve as an escape plan if a team needs to relocate. Even more rare chances of dynasty teams. Teams winning the Cup, or even competing for it, for several seasons in a row has become pretty rare. The Los Angeles Kings and Chicago Blackhawks have alternated Cup wins recently, and this may be the closest we will ever see to dynasty teams again. Having even more teams in the league, and more roster shakeups with an expansion draft will surely affect this. Another team in the desert? Haven’t the Coyotes proven that this is a bad idea from the start? 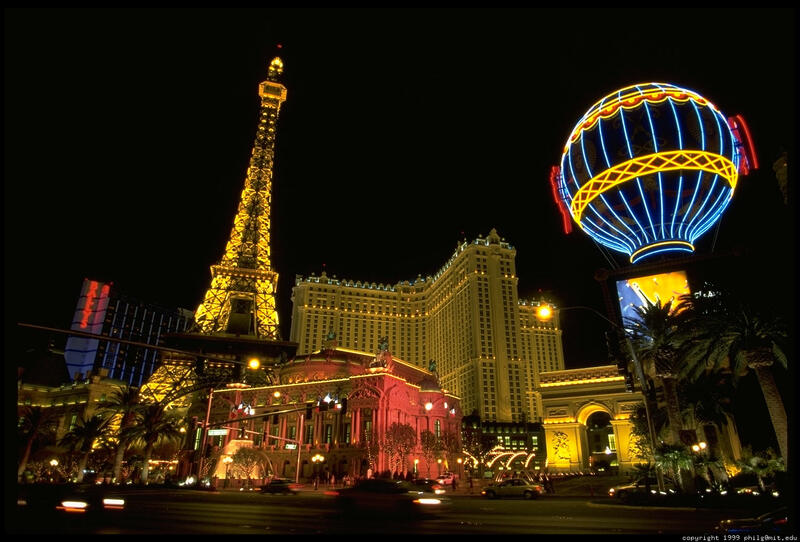 Vegas is very much a transient city. Can we expect a solid enough fan base from the citizens of Vegas to keep this team afloat, while they hope for tourists to come from all over the country and shell out money for something they can often see at home? Would you go on vacation from Montreal, where you can see the Canadiens play all the time, and shell out the same money to see an expansion team play the Blue Jackets? Is it really a good idea to have a professional sports team play in the gambling capital of the world? How long would it take before there are controversies with things like game fixing, sports book controversies, players gambling, players partying too hard, etc? Vegas seems like a problem waiting to happen. If Vegas is such a good place for a sports team, why haven’t any of the Big Three leagues put a team there already? Wouldn’t basketball or football do better there? Why has the NFL and NBA shied away from this city as a destination? The idea of a team in Las Vegas reeks of gimmick. The NHL has long been the ugly cousin of the pro sports leagues in North America, and has always been fighting for credibility. Going to Vegas, in my opinion, does nothing but hinder their credibility. Surprisingly, minor league teams in the city have done…okay, when it comes to attendance. The Verdict on Las Vegas: It seems inevitable that the NHL will end up here. I feel that this city is better suited as a place for relocation, instead of expansion. This way, they will be able to get a team that is more ready to compete, and quickly, instead of going through several painful years of building. I don’t think the town has the patience for that, and I think the tourist draw is overrated. People won’t specifically be going there for hockey, and the team will be fighting with literally thousands of other fun ways to spend your money in that town. Overall, this isn’t a great idea. Hockey deserves to be in the Pacific Northwest. I would cheer for a Seattle team. 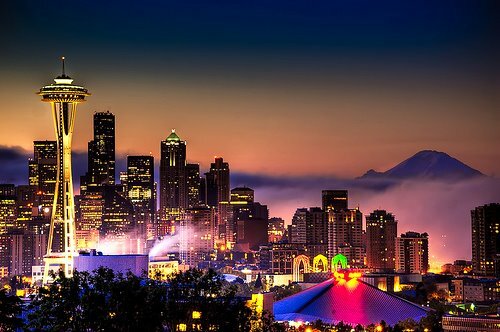 Seattle is a great North American city. It is a beautiful place to visit, and by most accounts, a good place to live. They have a strong sporting tradition. They love their Seahawks, have generally remained interested in their Mariners, despite years of poor teams, and really did support their SuperSonics, until the owner pulled the rug from beneath their feet over an arena deal. They have a history as a good sports town, making it feel right for the NHL to be there. Geographically, they are a good fit, bridging the gap between Vancouver and the Alberta teams, and the southern teams of California and Texas. Could develop good rivalries with Vancouver, Calgary, and Edmonton. The Flames and Oilers need new rivalries. The arena thing is a problem here. The current spot, the Key Arena, is outdated. They were trying to have a new one built for the return of an NBA team, but all of this fell through when the Sacramento Kings decided to stay put. The NHL won’t go here unless there is something in place to build a new rink, something modern and state-of-the-art. This could also help lure basketball back to town, so could work out quite well for the city, if something can get worked out. Seattle has a hockey history, as there have been junior teams in Seattle and Portland forever. They are well supported. Would an NHL team mean the death of junior hockey in the area? The Thunderbirds would be in big trouble, and a big league team could even filter off some fans from the always successful Portland Winterhawks as well. There are plenty of places that can support major and junior hockey at the same time, but I don’t know if Seattle could do it. The Verdict on Seattle: While this may seem like another city better suited to a relocated team than an expansion one, I would like to see hockey in the Pacific Northwest. I feel that it is a geographical fit, and in a city that is desirable for people to live in. Seattle is not a place in the boonies, that people can barely find on a map, like Columbus. It is a major center, and a pretty large media market. I envision Seattle as being a good, strong organization from the get go. Put a team there. The blue collar, affordable Toronto team would play here. Toronto is Canada’s largest city, and there is very little doubt that they could support a second team, and that there is a rabid desire for another team in the area. The Maple Leafs, and probably the Buffalo Sabres, will fight tooth and nail against this, but the league will not be able to resist the millions upon millions that could be made from a team here. In such a crazy hockey market, the Leafs will always rule. But going to a Leafs game is nearly impossible for the regular fan, as they have been priced out of tickets, and the games are mainly attended by business types. A second team would give Toronto a working class team, one that could become loved by the regular fan. Would that mean they would abandon their Leafs allegiance? Probably not. But the new generations of fans coming up, with little to no allegiance to the team their parents loved, and never having seen a good Leafs team, could flock to the new team. Seeing kids at a Toronto NHL game would be something different, instead of the dull, silent crowds that attend the Leafs now. Another team in the area would force the Leafs to do everything possible to become a better team. Instead of floundering, as they seemingly have been since the 1993 playoffs, they know that they could lose fans for the first time if they continue to be bad. Of course, this would be an amazing rivalry, in the same way that the Rangers-Islanders is, even if the teams are in different stratospheres of success. It would be the underdogs against the Leafs every time, and it would be fantastic, especially once the team takes hold and has a loyal fan base of its own. Another team in Canada just means more revenues for the league. No question about that. The current seven teams basically carry the rest of the league as it is. Why not add more to the pot. The verdict on GTA: Nothing to think about here. Just do it. There is nothing but positives here. 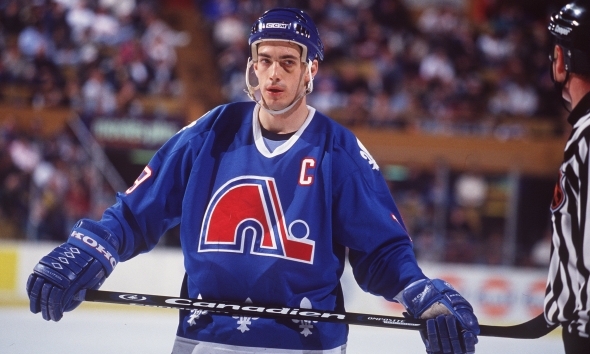 I’ll line up for a jersey if they come back as the Nordiques, with something like this look. When the Nordiques left, it was perhaps the saddest relocation of them all. A dedicated fan base had their team ripped from them, and just as they were getting good. How heartbreaking it must have been as they built up for years, and then won the Cup in their first year in Colorado? I only want them back if they will still be called the Nordiques, and will still have those incredible blue and white jerseys. Even though they have been gone for a long time, those are still some of the best threads in the league. 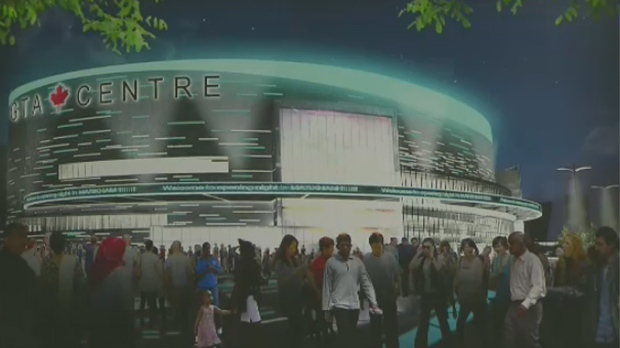 They are building a brand-new arena, that will be ready to go as soon as they are awarded a team. The Habs-Nords was one of the best rivalries in the league, and Montreal has never been able to replicate it. Sure, there is some hate between Montreal and Toronto, but nothing like the in-province rivalry with the capital city. Montreal-Ottawa has never really taken off, considering how close those two teams are to one another. The league wants it to be amazing, but it isn’t. Problem solved with the return of the Nordiques. This is a fan base that would be patient as they built themselves into winners once again. Giving them an expansion team would be fine, as they fans would follow them with passion until they were good. The Verdict on Quebec City: This is my #1 choice for a new team. Bring them back, sign them up now. Being someone who can’t find any reason to cheer for any of the Canadian teams, I would instantly become a Nordiques fan the second of their return. Gary Bettman has stated time and again that the league is not thinking of expanding just yet, but we all know that there is probably something in the works. I think if the league is going to do it, then it should do it all at once, to put the new teams on level playing ground, and so that they can grow together. Make it a big shock for the league, all at once, instead of dribbling out new teams over a few years, as they did with their two-at-a-time expansion of the 90’s and 00’s. Make it happen, establish them, and let them grow. And then we can worry about contraction. Jason Spezza has demanded a trade from the Ottawa Senators, and with his limited no-trade clause, he was able to submit a list of 10 teams that he would not be willing to be traded to. Most of the teams on the list make sense. He no longer wants to play under the microscope of a Canadian market, so there are six teams that make up the list. And that is fair. Not just because he wants out of Canada, but because all of the Canadian teams are in pretty terrible shape on the ice, and he would not be able to challenge for a championship with any of them in the foreseeable future. The one team that I was surprised to see on his list was the Nashville Predators. 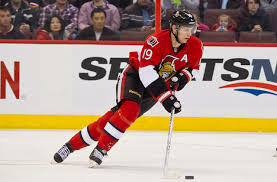 With the stories coming out that there was a deal in place to send him there, and that he refused to waive his no-trade to go there, Spezza is being made out to be the bad guy in the situation, handcuffing his GM by not allowing him to get the best deal out there for the Sens. Well, that is neither here nor there, as Spezza is just exercising the rights afforded to him in the contract that his GM created for him. If he doesn’t want to go somewhere, that’s fine. Then it is up to the GM to not trade him to the very place he said he wouldn’t go, and then try to throw him under the bus to the media. But I wonder why he wouldn’t want to go to Nashville? Sure, the team has always struggled offensively, which is exactly why they would want to trade for the proven scoring center. But they have a strong foundation down there, with some good young players and a tremendous defensive corps, starting in net with Pekka Rinne and on D with Shea Weber and Seth Jones. With some punch on the offensive side, they are a team that is not far off from competing. And they showed that they are willing to make some changes in order to get better, as demonstrated by their acquisition of James Neal from the Penguins on Friday. Spezza could have been a star in Nashville, the leader of the offense. But, perhaps, this is not what he wants. He has been in the spotlight for so long in Ottawa, I could see him wanting to end up on a team where he isn’t “the man.” Where he can be a secondary piece, on the second line, and not have to deal with the constant scrutiny that has followed him for his whole career. Nashville seems like a fun place to play, to be honest. For being a non-traditional hockey market, they have a ferocious fan base, a great building, and from everything I have heard, it is a really fun place to live. Nashville has a great nightlife, and a great music scene, and could definitely appeal to the young millionaire as a place to settle for a few years. I don’t think that Spezza didn’t want to go there because of the city, but because of the situation. Now, we are forced to wonder who is left for him to be traded to? The only team that really makes sense is the St. Louis Blues, who were rumoured to be involved in trade talks about him from the moment he said he wanted a trade. What other team could afford him, have the pieces to trade for him, and offer him the protection of better talent and a diminished on-ice role? If he wasn’t so expensive, I could see Chicago being involved. Maybe even Minnesota. What about the Red Wings or the Rangers? The options are definitely limited for him now, which brings me back to the question of why he wouldn’t want to go to Nashville. If anything, it could have helped him out, because there may not be anywhere else to go. Here we go. The New York Rangers and the Los Angeles Kings for the Stanley Cup. The two biggest markets in the NHL, and a coast to coast battle that has never been seen before in the playoffs. 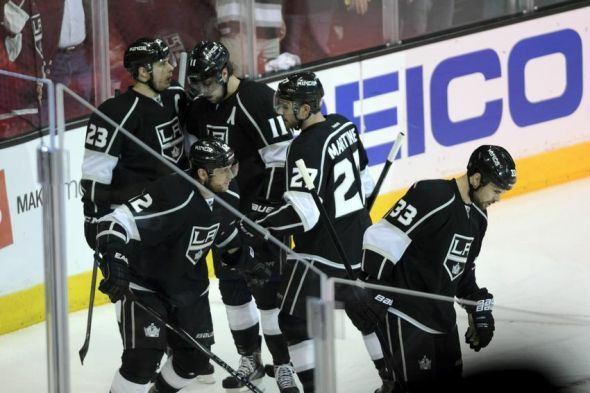 The Kings have become a semi-dynasty in the Western Conference, along with the Blackhawks, as they are going for their second Cup in the last three years. They had been in the conference finals for three straight years, which, in the cap-era, is incredibly consistent. The Kings are good, all over the place. They have the goalie, the D, and the forwards to get it done, as they already have. The Rangers are probably more of a surprise to be here than the Kings are, given that the majority of people had the Bruins or Penguins going to the finals from the East (Note: I correctly predicted both conference final outcomes, so…yay me!). Can’t ask for much of a better goalie match. There is gold and silver winning, all-world goalie Henrik Lundqvist of the Rangers. Widely regarded as the best goalie in the league (and for good reason), Henrik has done it all, except win a Cup. He is already a legend in NYC, and if he wins the Cup, he will be an immortal there. On the other side, Jonathan Quick has risen to the top ranks of the league, having won a Cup, a Conn Smythe Trophy, and serving as the US starting goalie in the Sochi Olympics. He has a fat contract from the last time he won the Cup, and now he is again proving that he is a money goalie. Even though he didn’t have the greatest regular season, he has been beyond good in the playoffs. Even though this is a pretty even battle, I have to give the edge to the hungry Lundqvist. On defense, this is another great battle. Both teams are stacked. The Kings have the best d-man in the league with Drew Doughty. 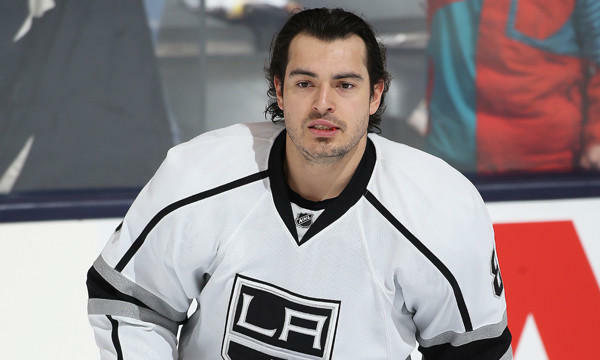 They also have great depth, with guys like Martinez, Voynov, Greene, Mitchell, and Muzzin. These guys can score, along with playing a tight defensive game in front of their goalie. They did show vulnerability against Chicago, and they will show some breakdowns now and then. The Rangers don’t have the same firepower as the Hawks, and will have a tougher time breaking down the tough Kings D. The Rangers can respond with up-and-coming elite D man, Ryan McDonagh, along with an equally formidable stable of depth with Girardi (one of the best defensive defencemen in the league), Staal, and Stralman. I have to give the edge to the Kings here, just because they can get more goals and points from the back end than the Rangers will. On offense, the teams are built in a similar fashion. Some high end talent (Kopitar, Carter, Gaborik against St. Louis, Nash, Zucharello, Richards) in front of a bunch of tough guys who can also put the puck in the net. The building of these teams is very similar. There are guys that can put the puck in the net. There are guys who can crash and bang, and make you regret going into the corners. There are third and fourth liners who can also contribute on both ends of the ice. 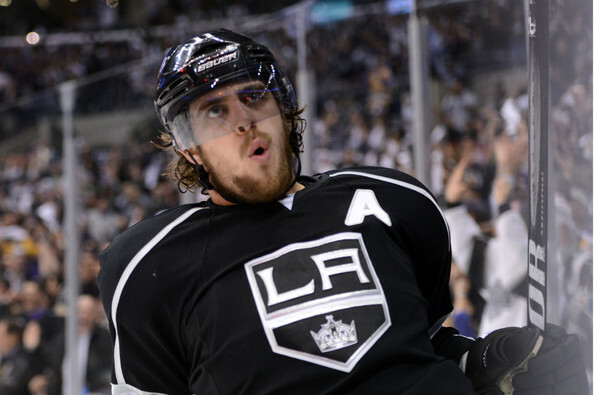 I call this a slight edge to the Kings, because of how good Kopitar is in both ends of the ice. What about the exhaustion? The Kings have played 7 games in each series. Incredibly, they have won game 7 on the road each time around. The teams they have played are bruisers, and even though they have come through, they could be pretty beat up by this point. Can they keep it up after such long, gruesome battles? The Rangers, while playing fewer games, and having more rest between series, had some tough battles as well. But I don’t think that playing the depleted Habs is anything like the ringers the Kings have been through. New York has some karma going for them. 20 years have gone by since their last appearance. The city is electric for the Rangers. Are they a team of destiny? As I mentioned above, the Kings are kind of a dynasty at this point. In the playoffs, they seem as though they are unbeatable. They beat their nemesis in Chicago. They need to be sure to not overlook the Rangers, however. King Henrik can steal more than just a game, but an entire series. Now that LA has home ice advantage, will they play differently? They have a great, desperate game on the road, and they haven’t been the same at home. Have to wonder if their us against the world mentality will be affected by being the favorite, and having home ice advantage for the biggest series. This is really a closer call than I thought it would be. I figured that whoever came out of the West would stomp the Rangers, but now I’m not as convinced. And if this year’s playoffs have taught us anything, it’s that these series are closer than we might ever expect. I hope for a good series, as do all. Best of luck to the Kings and the Rangers. Whoever wins, they will have earned it. 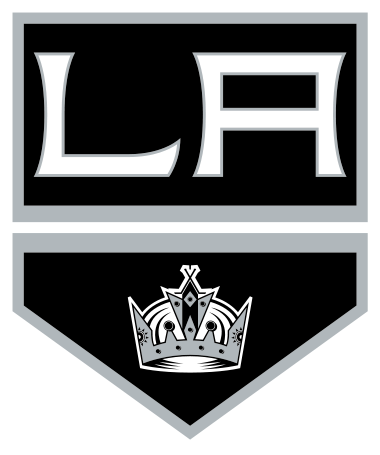 Prediction: I’m going with the Los Angeles Kings to take home another Cup. In 6 games. After 20 years, the New York Rangers will be back in the Stanley Cup Finals, with a chance to win it all since their legendary run in 1994. They dispatched the Montreal Canadiens in six games, with a 1-0 victory on Thursday night, cementing their berth in the final round of the NHL playoffs. 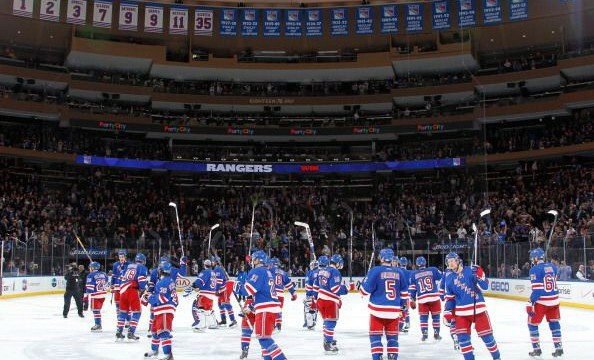 The Rangers will face the winner of the Chicago Blackhawks-Los Angeles Kings semi-final, and they will be decided underdogs with whichever team they will be facing for the holy grail of hockey. For the majority of the series, the Rangers seemed to be in control, and with the damaging loss of the red-hot Carey Price, the Habs were doomed from the moment of his injury. The main slip by the Rangers was a 7-4 loss in Game 5, as they looked like a team that knew they had more than one shot to close out the series. New York is a deep team, and they will be competitive in the finals. They are getting production from all over their lineup, and the standard great goaltending from Henrik Lundqvist. As usual, he will play a major role in determining the fate of his team in the next round. 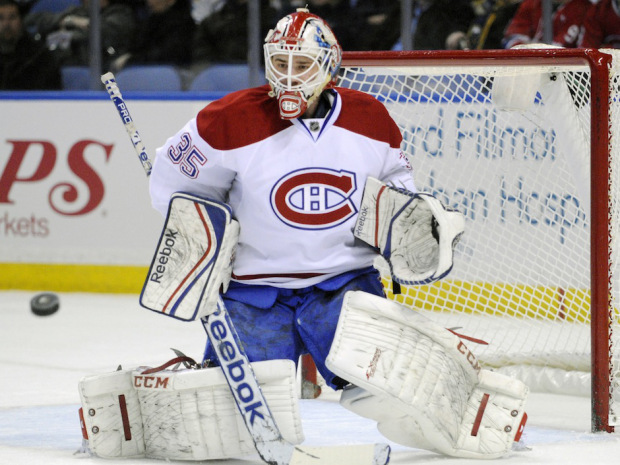 The MVP of the series must be Dustin Tokarski, the third string netminder for Montreal that was thrust into an impossible situation with the injury to Price. With fewer than a dozen NHL games under his belt, Tokarski jumped up the depth chart over regular season backup Peter Budaj, and did an admirable job of keeping the Habs in the series. He has definitely cemented himself as a solid #2 for next season. If he had managed to win this series, he would have quickly become a legend in Montreal. He was facing a team that was hot and on a roll, and he did a great job in leading his team to two wins. He should be commended for his determination and prowess in this series. I’m personally pleased that the Rangers have made it to the final, as they were my pre-season pick to make it to the finals. Looks like I can pretend to be reasonably smart when guessing NHL games for a little while. Best of luck to New York, where it will be an incredible party if the Blueshirts are able to bring back the Cup to the Big Apple. 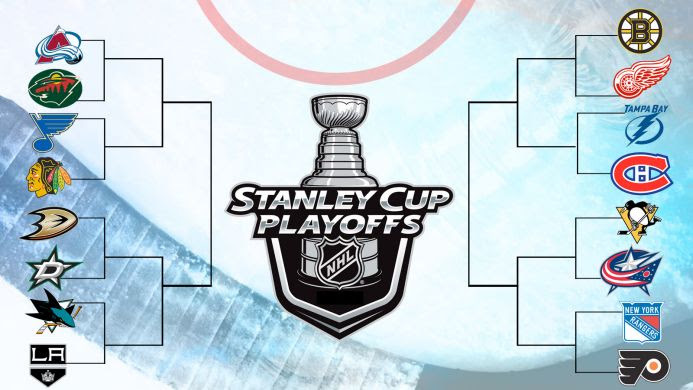 The Stanley Cup Finals will begin on Wednesday.